Pitney Bowes Software Inc. has released an update to MapInfo Pro 16. This software helps business analysts and GIS professionals gain new insights into their markets, by sharing information-rich maps and graphs to improve strategic decision-making. The Layout Designer now lets you position items at negative coordinates to improve the conversions from legacy (classic) layouts, which allowed negative coordinates, to layouts in your current version of MapInfo Pro. MIPRO-63952 Text boxes in a Layout Designer window include an extra line that cannot be removed. MIPRO-66119 Geocoding a large table using Mapmarker Geocoder results in a memory leak. MIPRO-79932 MapCAD does not correctly create Orthogonal Polygons using an MBX. There is an issue creating to only right angles when using the Ctrl key. MIPRO-88640 Browsing tables is slow in the 64-bit version of MapInfo Pro 16.0 compared to the 32-bit version. It may take a few seconds on Windows 7 and much longer on Windows 8.1 and 10. MIPRO-89032 Rounded rectangles are not converting correctly from workspaces (WOR files) that include an older legacy layout. MIPRO-90283 The Web Map Service (WMS) and Envinsa Geocoding service are not working when using a proxy server to connect to them. MIPRO-90560 An error occurs when making an Oracle tables mappable that has mixed case coordinate field names. MIPRO-91351 When using different regional settings, MapInfo Pro displays the error, "Layout Designer Grid Size must be greater than zero"MIPRO-91584 Text object value is incorrect using Map File Application Language (MFAL) 16.0 or higher. The string in the text objects that MFAL returns is not correctly null terminating. MIPRO-91993 The Layout Designer window closes unexpectedly when adding a map frame. This occurs when running a MapBasic application (MBX) and then adding a map frame. The Ruler tool, on the custom AddIn tool bar, does not display the Ruler window. MIPRO-55490 On the Browser window, the Clear Filter context menu is disabled on a filtered column. About Pitney Bowes MapInfo. See your business data in a bold new way with MapInfo Professional, a powerful mapping and geographic analysis application providing geospatial solutions. MapInfo Pro helps you present your business findings in a new, more visual way. It clearly demonstrates the relationship between geography and data, thanks to its detailed maps and graphics. - Have a better basis for strategic decision-making. About Pitney Bowes Software Inc. Pitney Bowes is a global technology company offering innovative products and solutions that enable commerce in the areas of customer information management, location intelligence, customer engagement, shipping and mailing, and global ecommerce. 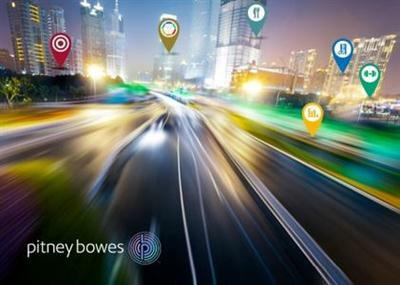 More than 1.5 million clients in approximately 100 countries around the world rely on products, solutions and services from Pitney Bowes. Pitney Bowes MapInfo Pro 16.0.2 | 922.9 mb download links are provided by Extabit Rapidshare Uploaded Rapidgator Netload Bitshare Freakshare Letitbit Dizzcloud and more.